The Malaysian delegates who attended the CITES convention in Johannesburg, South Africa. 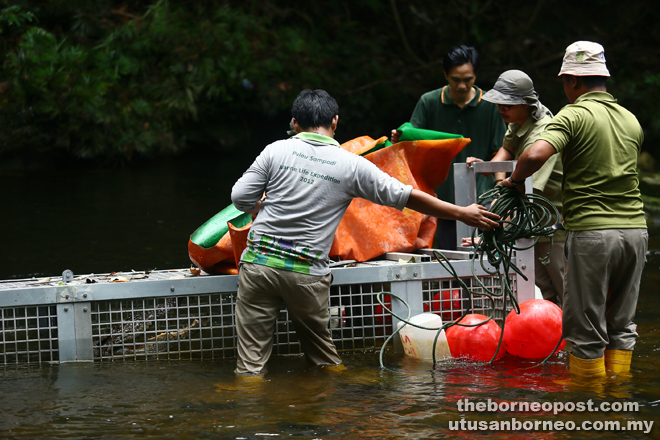 KUCHING: Sarawak achieved a significant step in its effort to control the population of crocodiles after the Convention on International Trade in Endangered Species in Wild Fauna and Flora (CITES) granted the state permission to trade the skin and meat of the culled reptiles. Malaysia is a signatory of CITES and is therefore governed by its conservation rules which list the state’s crocodiles in the wild in Appendix I which prohibits the killing of the reptile for its meat and skin although the state had its own Wildlife Protection Act enacted in 1990. CITES agreed to downgrade crocodiles in the state to Appendix II at a meeting in Johannesburg, South Africa on Sunday allowing the state to manage the population of crocodiles in the wild through culling and sale of their skin and meat. According to Natural Resources and Environment Minister Dato Sri Dr Wan Junaidi Tuanku Jaafar, CITES agreed to Malaysia’s proposal to downgrade the conservation status of crocodiles in the state because of the marked increase in crocodile population resulting in rising human-crocodile conflicts. 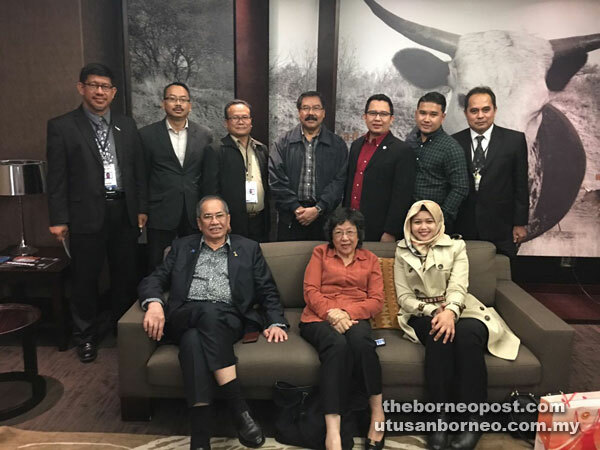 He made the announcement to The Borneo Post in an exclusive interview yesterday morning and he later announced it again at a press conference at the Kuching International Airport (KIA) yesterday afternoon. Wan Junaidi, who attended part of the 17th meeting of the Conference of the Parties (CoP) in Johannesburg which started on Sept 24 and ended on Tuesday however stressed the government would make sure that culling and trading are stringently regulated to ensure controlled hunting of the reptiles. “There will be controlled culling and regulated trading, while at the same time, conservation efforts will continue. Most important of all, local communities will benefit from the culling exercise. “Only those with licences, and priority will be given to individuals from local communities, can do the culling. There will be export quotas for crocodile skin and meat to ensure controlled culling and to prevent rampant killing. “Later, when our experts have returned from South Africa, we will look into and make a decision on the size of the crocodiles which can be culled,” he said. He said crocodile populations have been increasing in Sarawak, especially in Samarahan River which increased by 108.5 per cent between 1985 to 2014. Samarahan River is followed by Sarawak Mangrove Wetland in the Pulau Salak area (34.5 per cent) and Limbang (28.5) as well as Batang Lupar (28.4). Other rivers which registered increase of crocodile population are Suai River (22.4), Rajang River (21.5) and Baram (14.7). “We are able to convince Cites because many of our beaches are no longer safe. Except for Damai Beach, our beaches are no longer safe,” said Wan Junaidi. He also told the meeting that in September alone there were two cases of crocodile attack on people while between 1940 and 1949, there were only three conflicts between man and crocs in Sarawak. From 1950 to 1959 the figure had doubled while from 1960 to 1969, there were five cases of conflicts which resulted in loss of human lives. In the seventies, the figure dropped to four cases of conflicts and four deaths. From 1980 to 1989, crocodile attacks surged to 17 cases in which seven victims were killed and 10 survived. From then onwards, the figure kept rising. The decade from 1990 to 1999, there were 20 cases of conflicts with 11 people killed and nine survived; between 2000 to 2009, the number of conflict cases doubled to 43 resulting in 19 people killed, while 24 survived. Between 2010 to Aug 2016, there were 52 cases of human-crocodile conflicts which claimed the lives of 27 victims and 25 survived. 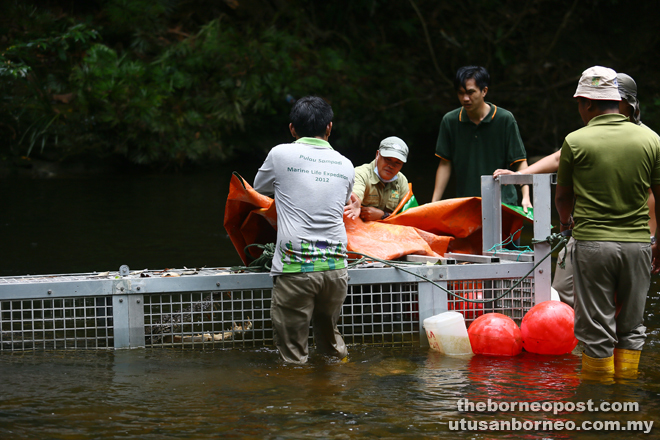 Meanwhile, Wan Junaidi revealed that the state had been trying to down list the crocodiles from Appendix I to Appendix II since 2004 due to the rapid rise in their population in the wild. 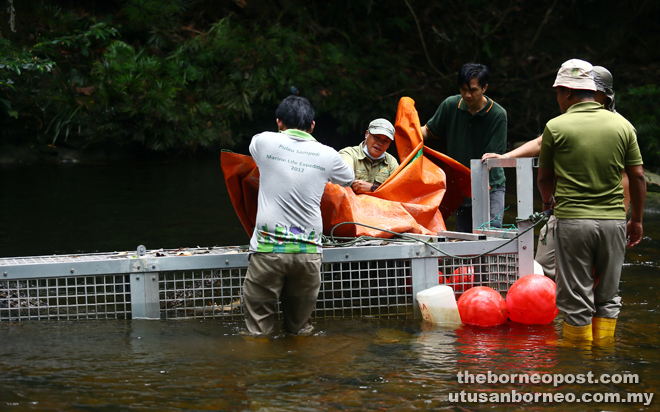 Currently, the crocodiles’ population in the wild in Sarawak is estimated to be at least 13,500 and the most infested river has a ratio of 2.18 crocodiles per every 2 km.